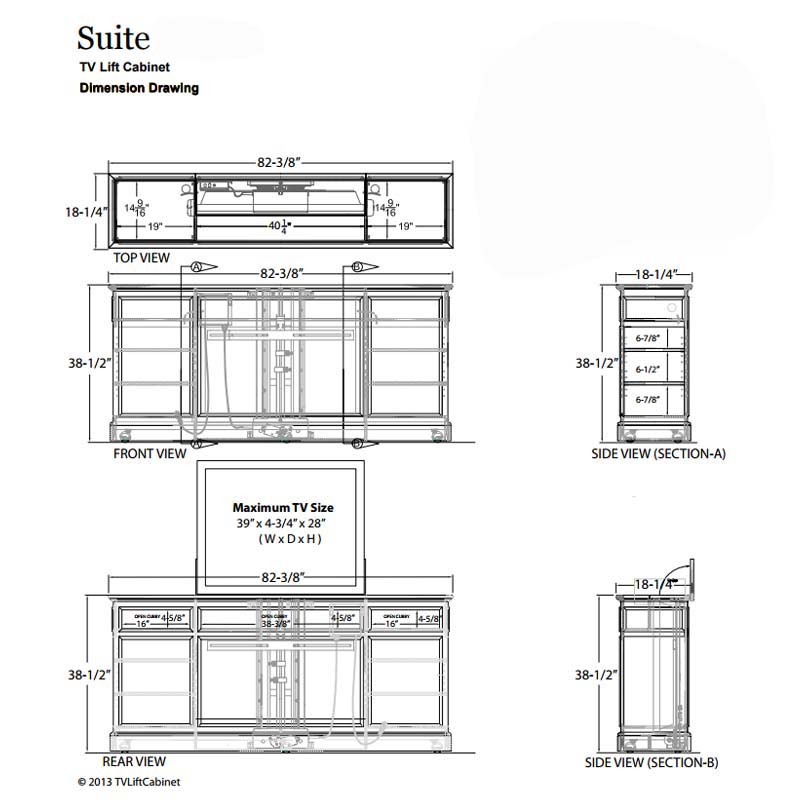 More on the TV Lift Cabinet Suite Series Lift for 32 to 42 inch Screens (Espresso) AT006389ESP below. This rich-looking, solid Maple wood TV Lift Cabinet is finished and framed on all sides making it ideal for use as a wall-based unit, a room divider, or at the foot a bed. Two large electronics cubbies: one on the top left and right as well as shallow storage for décor in the top center compartment. 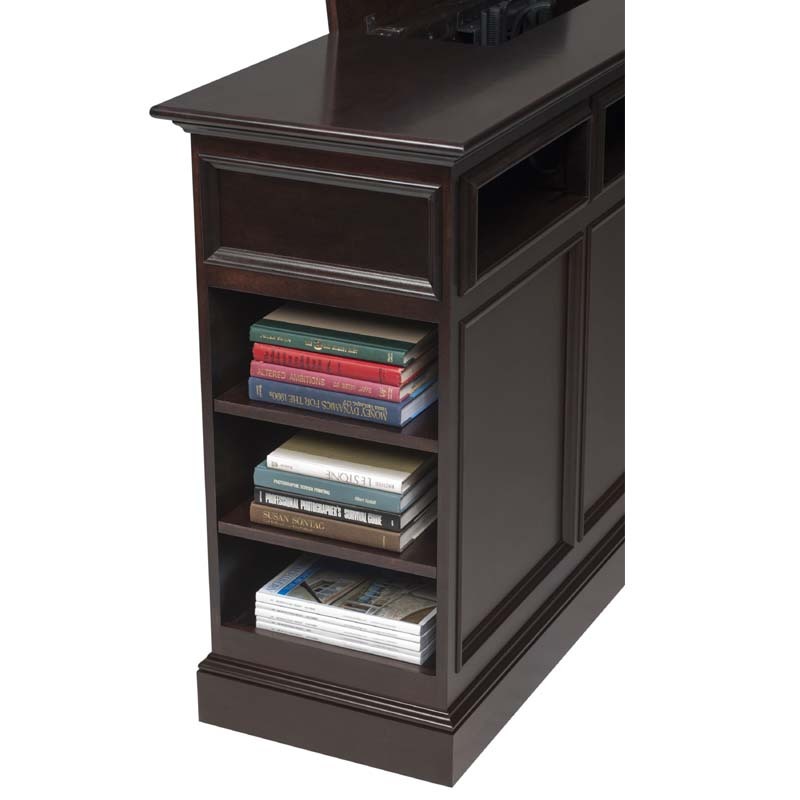 The sides of the cabinet also have plenty of room for décor and storage thanks to the exposed bookcases. Onboard the master control is a current sensing outlet that affords power to your television. 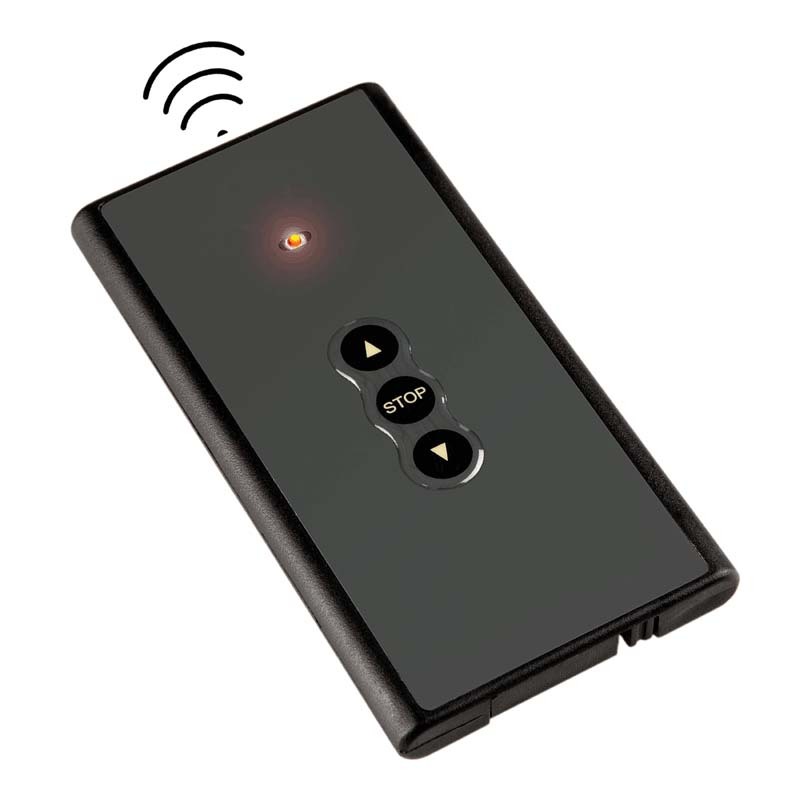 The current sensing outlet senses that your TV has turned off and in turn sends the lift downward. This simple one button control allows you to easily use your existing off button on your TV remote control. 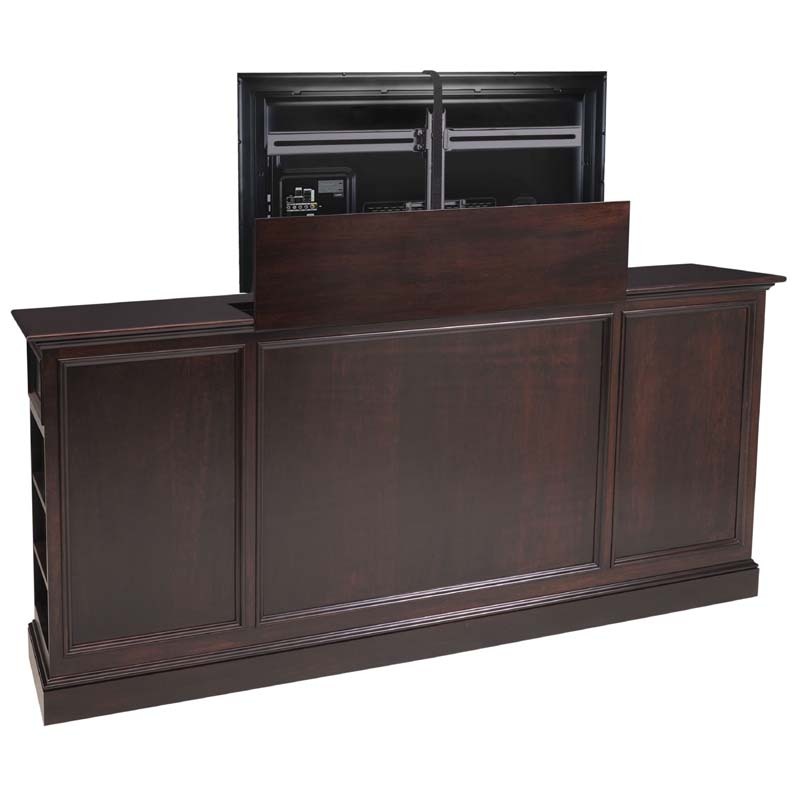 Adjustability is engineered into the Suite allowing the user to adapt the cabinet to better suit their individual requirements. 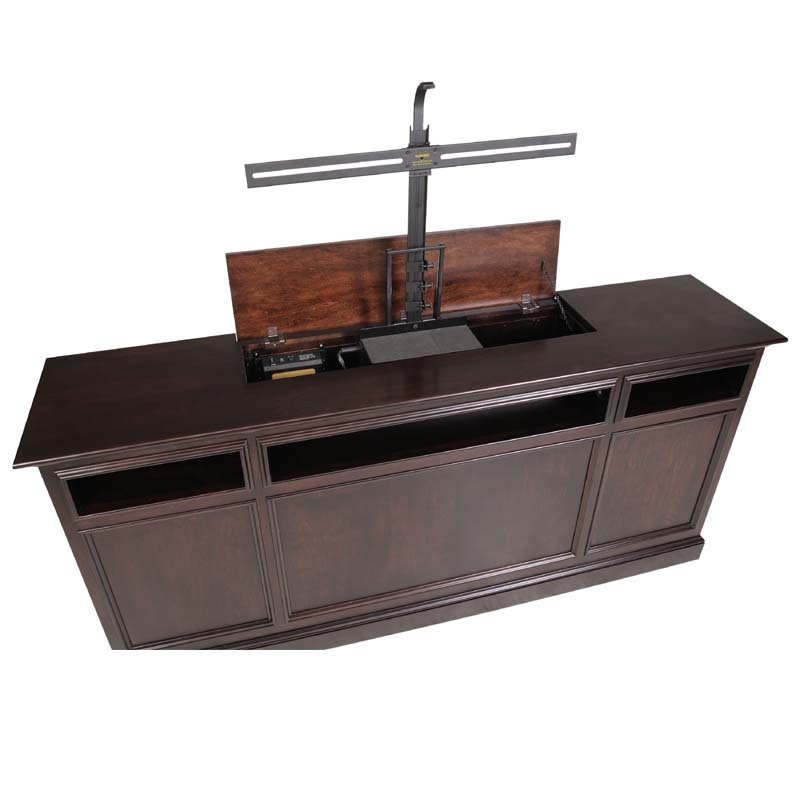 Adjustable shelves can be raised or lowered in 1.25 inch increments. 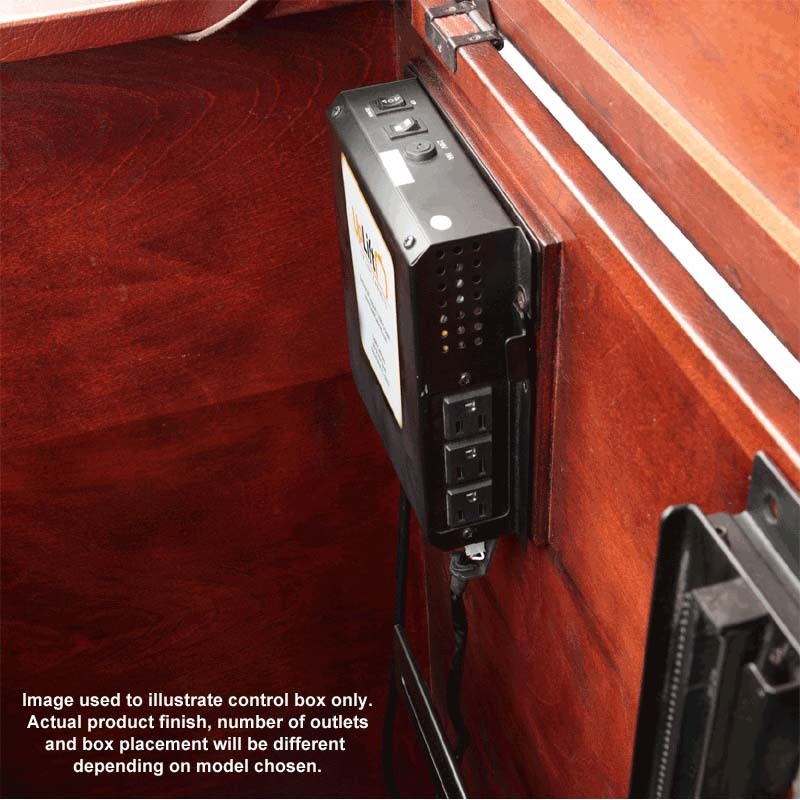 Integrated easy to access wire management channels throughout the cabinet. 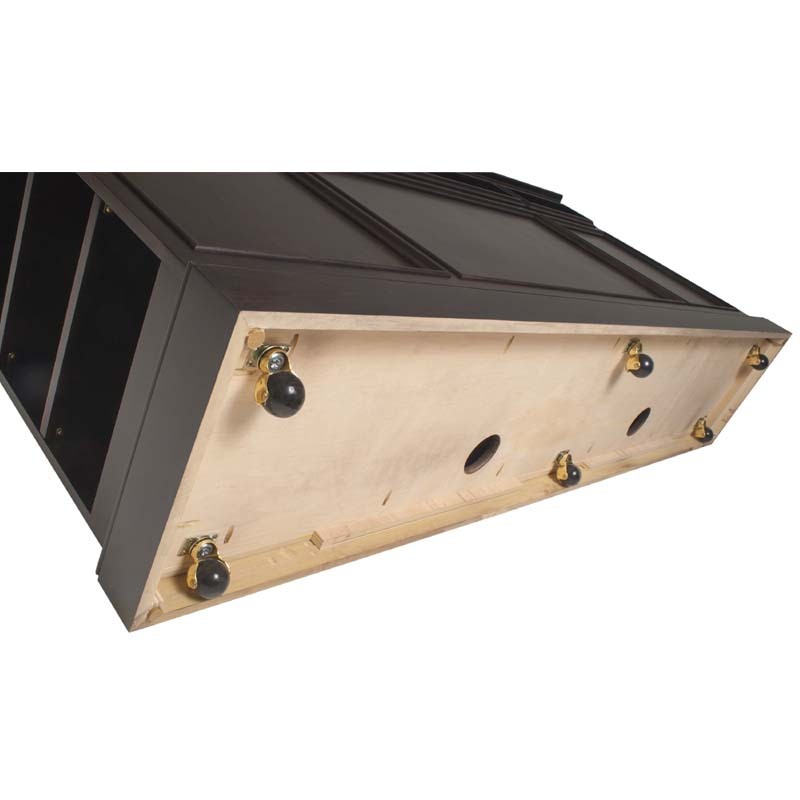 This allows you to run your cables from one compartment to the next and from the compartments to the back exit holes on the cabinet. All wires can now be neatly bundled, easily run, and most importantly: out of sight. 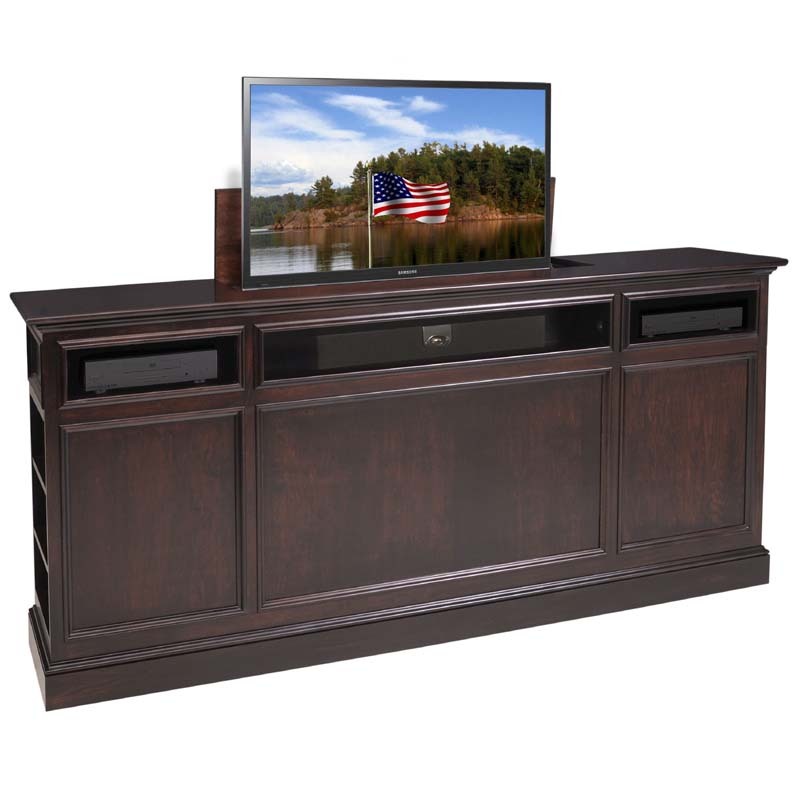 Cleverly incorporated casters underneath the base of the Suite Series TV Lift Cabinet allow you to choose all three - the possibilities are endless! 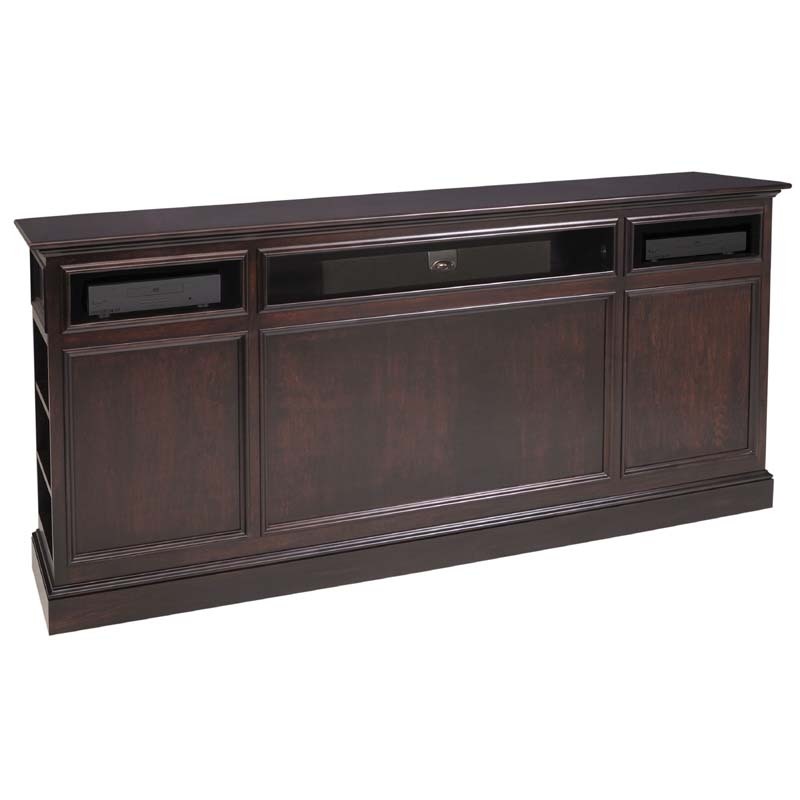 Infrared relay system provides a window from your handheld remotes to your TV and audio components even though they are concealed inside the cabinet. No programming required!